"This case is not about the ethics of hunting, and it is not about solving human- or livestock-grizzly conflicts,” the judge wrote. Christensen temporarily blocked the planned hunt in Wyoming and Idaho last month, two days before the season’s opening day. In a 48-page document released Monday, Christensen said the case — which would likely reverberate beyond the Northern Rockies — was not "about the ethics of hunting, and it is not about solving human- or livestock-grizzly conflicts as a practical or philosophical matter." The wildlife service, Christensen wrote, "failed to make a reasoned decision" when it delisted a population of roughly 700 Yellowstone grizzlies from the Endangered Species Act. 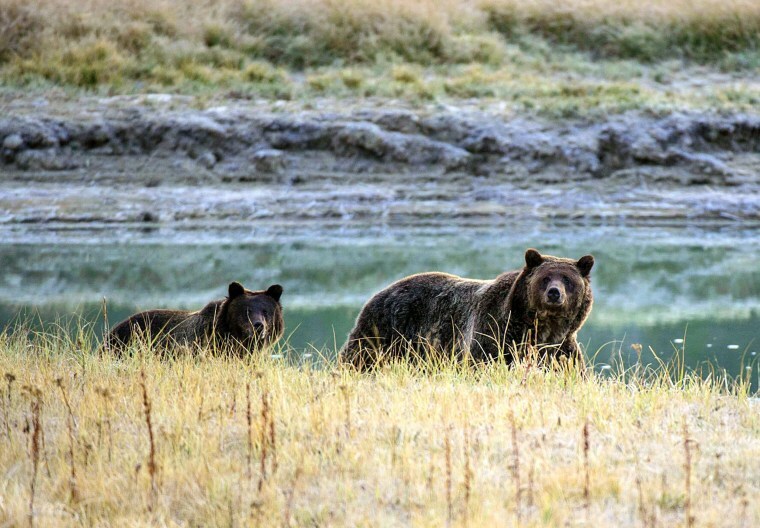 The agency didn’t consider the impact of hunting the Yellowstone grizzly on five other bear populations in the Lower 48 States — as it was required to — and its analysis of threats to the species was "arbitrary and capricious," Christensen wrote. The wildlife service had concluded last year that the grizzly was no longer a threatened species in need of federal protections — a move challenged by six lawsuits from Native American tribes and wildlife advocates. Those suits were consolidated into one. Wyoming issued 22 hunting permits; Idaho issued one. But the hunt remained on hold while Christensen considered the lawsuits. The bear was first listed under the Endangered Species Act in 1975, when there were between 136 and 312 grizzlies in the Yellowstone area. Associated Press and Ezra Kaplan contributed.